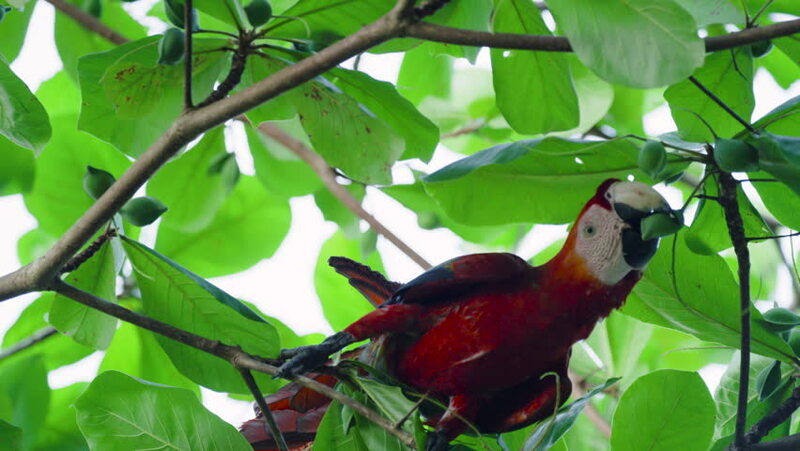 4k00:19A colorful and vibrant scarlet macaw bird (ara macao) eats fruit from a tropical almond tree (Terminalia catappa) in the jungle rainforest tree tops in Costa Rica. Shot in 4K. 4k00:12fresh organic cherries. dark fresh cherry on the tree. fresh dark cherry heap. macro shooting on tree. hd00:30Ripe red cherries on tree grain. With blue sky background and soft wind moving green leaves. Shot in slow-motion hd.